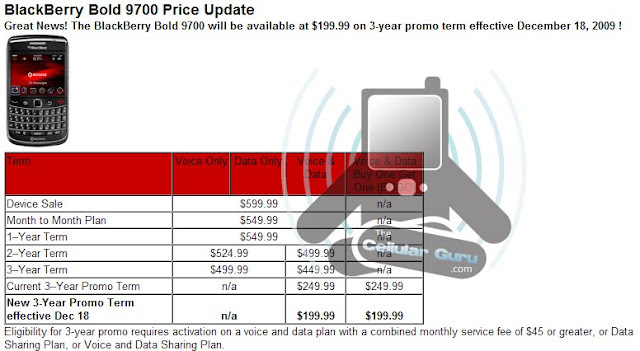 Rogers BlackBerry Bold 9700 Getting Price Cut! We were just tipped that tomorrow (December 18th) Rogers will be price cutting the BlackBerry Bold 9700 to only $199.99 with a 3-year contract. If any Canadians are looking to get a last minute Holiday gift, this might be your best bet!